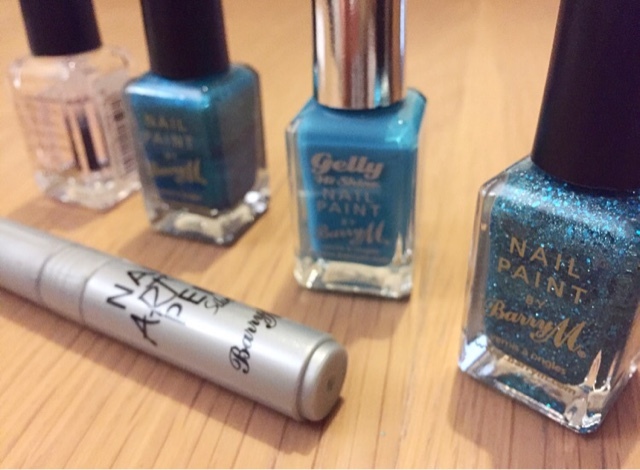 A couple of weeks ago, I received an email from the guys at Bon Prix asking if I'd like to take part in a nail art competition in association with Barry M.
Readers of my blog and followers of my Instagram will know by now that I am a big Barry M fan, and my collection of their nail polishes extends to the hundreds. Obviously, it was a nobrainer to take part. The brief was simple; create a nail art design using one of six Bon Prix as inspiration. The winner of the competition would receive a £50 Bon Prix voucher as well as £47 worth of Barry M goodies. Completely disregarding where I would actually house any 'goodies', I started studying the dresses and coming up with an appropriate design. I chose the 'Luxe Sequin Shift Dress'(below). 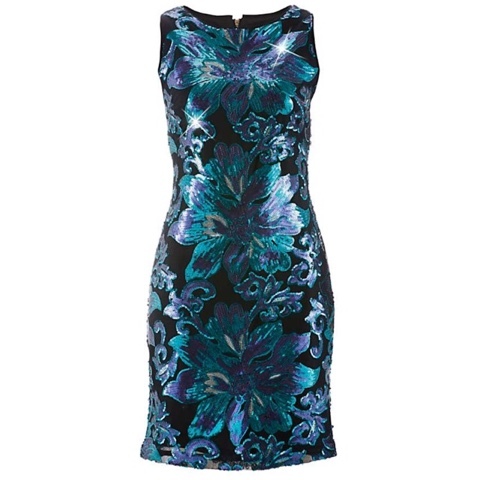 It's a black dress (though it does also come in red), and features turquoise sequin flowers all over. A great sparkly number for the festive season! I actually created two designs; the first was a gothy style with turquoise accents but at the last minute I decided I didn't like it - so did something else. 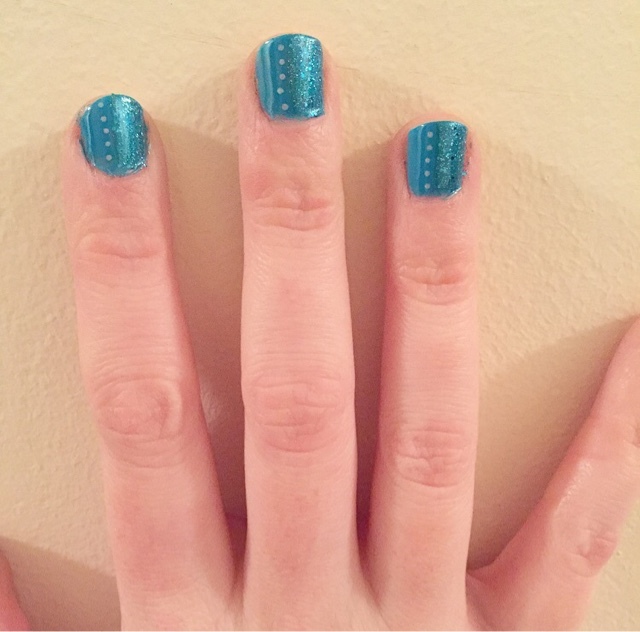 For my design I used Aqua Glitter, Guava, Teal, the silver nail art pen and of course my clear topcoat. I chose the real colour base as I thought it would really pick out the flowers in the dress. Guava is one of my favourite shades from the Gelly range so that was used as a base, with the Teal and glitter used on one side. I liked that this was slightly more subtle than a completely glittery nail - and you can't go wrong with a bit of everything! 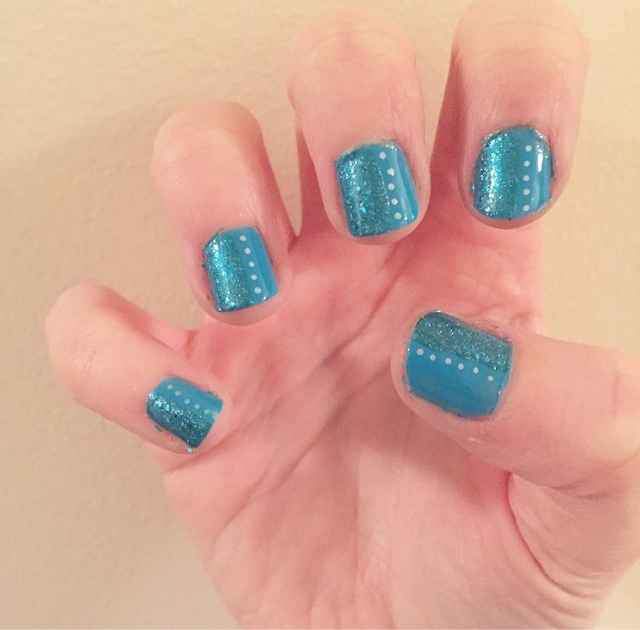 There are some silver sequin flecks on the dress, so I tried to pick this out with some silver dots to highlight the divide between the two polishes on the nail. And here's the final product! What do you think? If you've created a look for the #partypolished competition, drop me a link to your design in the comments below. I've always been a big fan of Aussie hair care products, and just recently I've been using two products which have left my locks in such luscious condition that I thought it would be unfair not to share them with you. 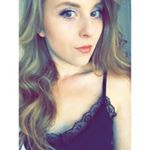 I've been using Loreal Paris Elvive range I've been for a while now, and although I have absolutely no complaints there, I do like to switch my products up a little every now and then and Aussie is a brand I always come back to. Formulated with Australian Ginseng extract, which boosts energy, and Pearl Powder, this shampoo is made to revitalise. 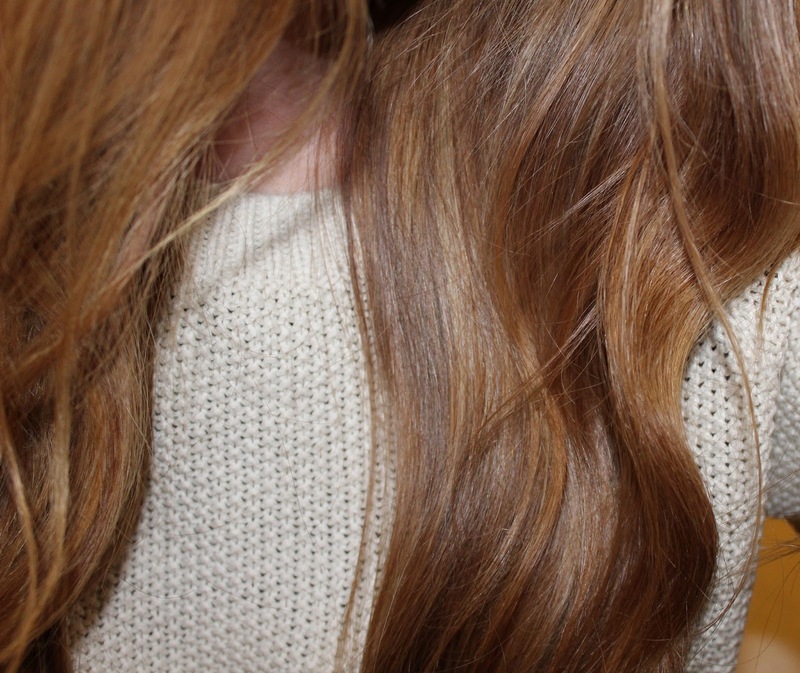 It lifts dull and limp hair, leaving it glossy and silky smooth. I squirt a just bigger than ten pence piece sized amount into my hand and rub it through my hair before washing it out. The shampoo has a fantastic scent and lathers up quickly, so you only need a small amount to cover your head. This coming from a girl in dire need of a trim, whose hair is set to rival Rapunzel's soon. I comb it through my hair, and then blow dry as normal. This contains the same Ginseng in the shampoo, and with an added beauty vitamin called Panthenol which is supposed to 'rekindle hair's spark'. It also enhances the fabulous scent of the shampoo also. Having used both products for over a week now, I can honestly say it has left my locks looking radiant - and that's not just me being biased! The shampoo comes in at £5.99 and the conditioner is £4.69, though if you shop around there are usually some offers if you buy two products together.It's certainly worth the money in my opinion!